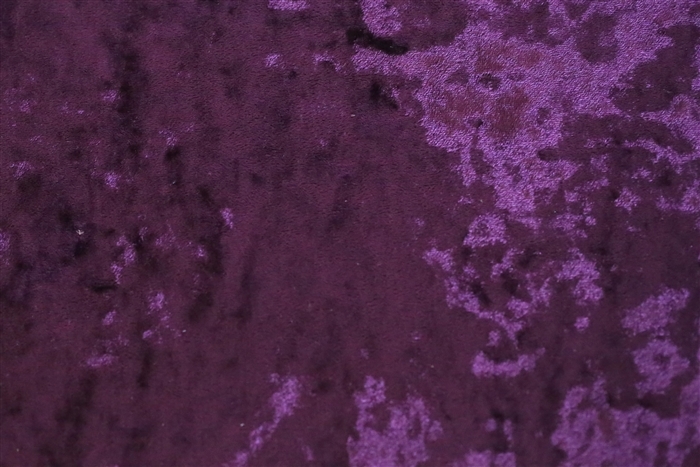 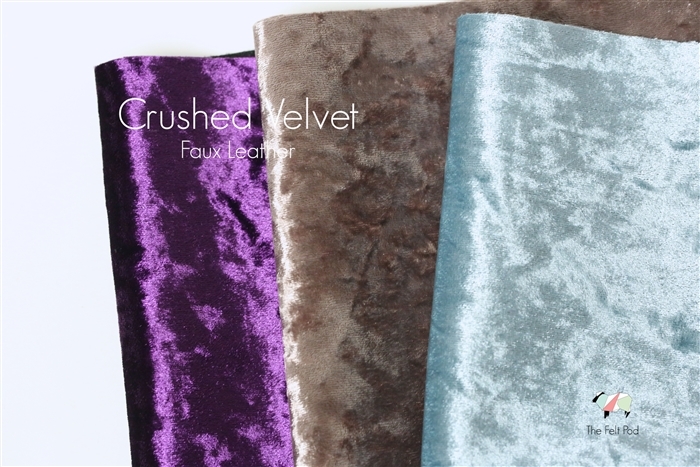 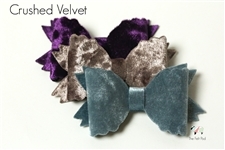 These crushed velvet faux leather fabric have a whimsy hand. They are luxurious and silky - great for making all those fancy bows. 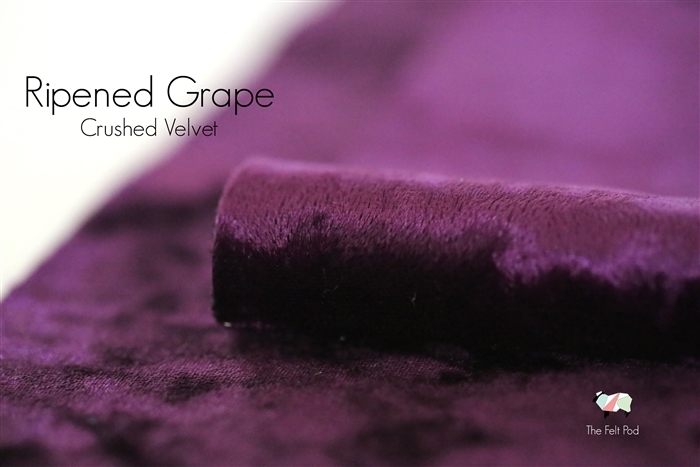 *** SPECIAL NOTE: Our crushed velvet is not as stiff as our regular faux velvet. 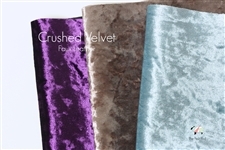 They have a softer hand and will drape more than our traditional faux velvet.